... a 6 week Mindfulness programme, suited to anyone who would like a deeper understanding of Mindfulness and how to incorporate it into daily life, work and relationships. Venue: Urban Wellness Studio, 7 Anderson Close, Tokai. is about paying attention to one’s present moment experience, in a particular way, with open-minded curiosity, kindness, compassion, acceptance and non-judgement. While the focus is present moment awareness, current research suggests that regular Mindfulness practice can result in the reduction of stress, anxiety, depression and emotional reactivity. There is evidence that Mindfulness may increase your capacity to notice patterns of difficulty, and develop healthier and more wholesome approaches to life. It has also been shown to enable you to think more clearly, perform better and feel calmer, and to increase life satisfaction, health and well-being. Over the course of 6 weeks you will be introduced to several core Mindfulness practices. The course is largely experiential, but there will also be opportunity for discussion and for you to ask questions about the process. Each week you will be provided with readings and practices of approximately 30 minutes per day. "There was excellent rapport between Sarah and Belinda and the course was well planned and executed, with very good presentation." "The facilitators had an amazing ability to impart new ways of thinking, even a new 'language', with such insight." "The course helped to instil an amended life view ... more patient and balanced, increased awareness, less reactive, less angry." "I have done other Mindfulness courses and meditations for over 40 years. With this one I felt no pressure of any sort, just acceptance and gentleness." 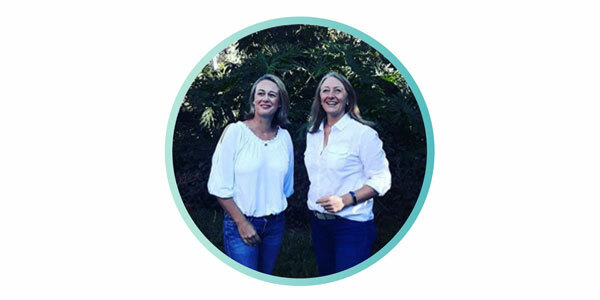 Both BELINDA MUNRO and SARAH FOALE are certified Mindfulness teachers, having completed a two-year post-graduate certification in Mindfulness-based interventions through Stellenbosch University’s Faculty of Medicine and Health Sciences. BELINDA MUNRO (Urban Wellness) has a background in the fitness and wellness industry, as a personal trainer and rehabilitative Pilates teacher. She has an honours degree in psychology (counselling and health), and a post-graduate certification in Christian counselling. Her interest is on accessing the body’s own wisdom towards healthy life choices. SARAH FOALE (Mindspace) has an honours degree in psychology (counselling and health) as well as a post-graduate diploma in adult education. She is also a registered mountain and wilderness guide. She has a lifelong interest in how we can approach a deeper experience of fulfilment and integration in our lives. Both Sarah and Belinda also work as Integral coaches, having trained through UCT’s Graduate School of Business. As a team their commitment is to create a space where you can be with yourself in the spirit of kindness, compassion and acceptance.